We are Licensed, Bonded and Insured Tax Preparers Certified by the State of California’s Tax Education Council (CTEC). We use Lacerte tax software (it is the best) to get the absolute best results for you the client in our tax preparation services. FREE Accurate Tax Advice (B.S. Degree in Accounting & QuickBooks ProAdvisor Specialized in Tax & Accounting). We are the number ONE absolute best tax preparation service in San Diego. Call us now for a Free quote on your Corporate, Business, Individual tax or bookkeeping needs. 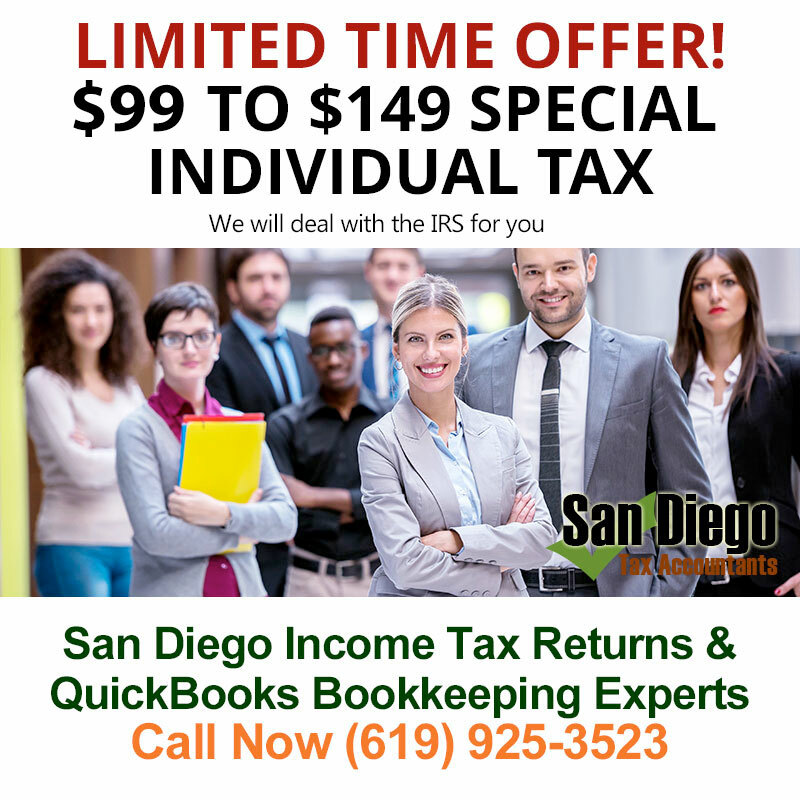 We are San Diego Tax Accountants- QuickBooks Experts. We are MASTERS in the QuickBooks Software program. We work with many clients, individual and corporate, that use QuickBooks FOR BUSINESS. No job is too big or too small. © 2017 San Diego Tax Accountants - All Rights Reserved.